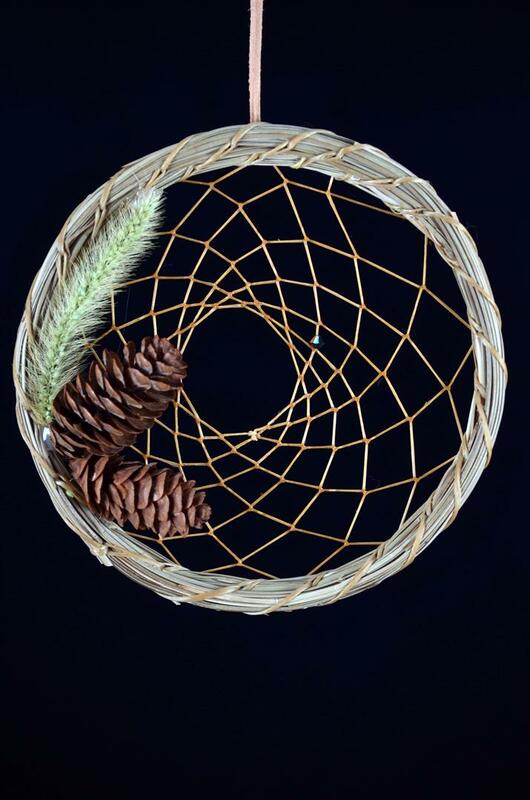 These amazing and unique pine needle dream catchers are made for us by a very talented Cherokee artist, Ronda M. Ronda has been making long pine needle dream catchers and baskets for a few years and her craftsmanship and attention to detail shows. 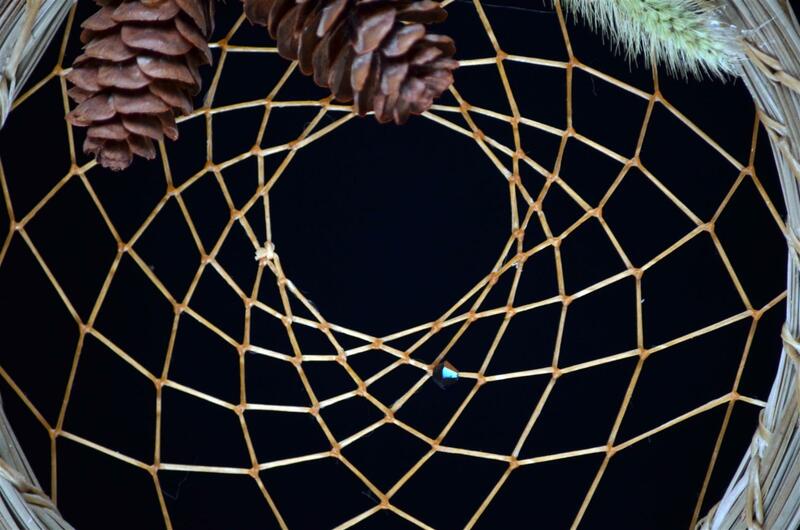 These are the only pine needle dream catchers we have ever seen and we think they are absolutely beautiful. We only have a few of these pieces and we do not know when we will get more. If you are looking for a unique dream catcher gift for yourself or someone you care for, this may be for you. The hoop is approximately 5 inches in diameter.